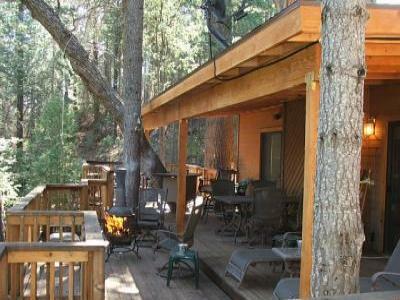 adjacent to Prescott National Forest. well as a 7-day forecast on the weather link on our web page. Location! Location! Location! Try 89 Miles from North Phoenix! a half from Loop 101 at Interstate 17.
covered from end to end. The community is gated for added security. flowing floorplan has the master bedroom downtairs and a full bath. basketball court, hammock, and the worlds most awesome tree swing. See our website for area history and attractions. All stays must pay a $100 cleaning fee. Additional persons & pets are an additional fee. getaway, or anysize, for hosting 2 or 3 couples.